Carnival Corporation today signed a memorandum of agreement with leading German and Finnish shipbuilders Meyer Werft and Meyer Turku to deliver three additional next-generation cruise ships that will be fully powered by Liquefied Natural Gas (LNG), the cleanest burning fossil fuel in the world. Two of the new LNG-powered ships are designated for Carnival Cruise Line, and will be built by Meyer Turku at its shipyard in Turku, Finland. Carnival Cruise Line is scheduled to take delivery of two new 180,000 gross-registered-ton cruise ships in 2020 and 2022. With an approximate passenger capacity of 5,200 based on double occupancy the two new ships will be the largest in the fleet. The third new ship is designated for P&O Cruises UK and will be built by Meyer Werft at its shipyard in Papenburg,Germany. 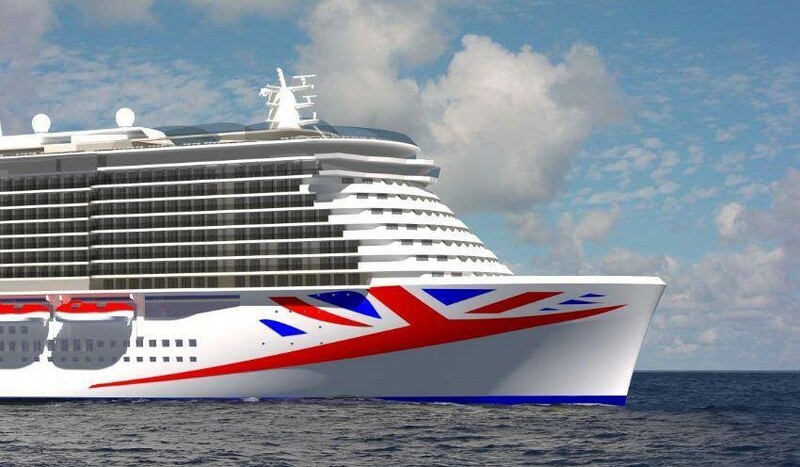 The new ship will, like its Carnival sister ships will exceed 180,000 gross tons and will accommodate approximately 5,200 guests making it the largest cruise ship to be built specifically for British guests. The ship is expected to be delivered in 2020. In total, Carnival Corporation now has agreements in place to build seven LNG-powered cruise ships for four of its 10 global cruise brands in coming years. The first of these ships is expected to be in service for AIDA Cruises and Costa Cruises in 2019. Based on Carnival Corporation’s next-generation “green cruising” ship design, these ships will use LNG to generate 100 percent of the ship’s power both in port and on the open sea, an innovation that will significantly reduce exhaust emissions to help protect the environment. As part of its fleet enhancement plan, Carnival Corporation has already taken delivery of three new ships in 2016 for its AIDA Cruises, Carnival Cruise Line and Holland America Line brands, and plans to launch the all-new Seabourn Encore in December 2016. Including Seabourn Encore and the three new ships announced today for Carnival Cruise Lineand P&O Cruises UK, Carnival Corporation has a total of 18 new ships scheduled to be delivered between 2016 and 2022. Carnival Corporation & plc. is the largest leisure travel company in the world, with a portfolio of 10 cruise brands in North America, Europe, Australia and Asia comprised of Carnival Cruise Line, Princess Cruises, Costa Cruises, Holland America Line, AIDA Cruises, P&O Cruises (UK), Seabourn, P&O Cruises (Australia), Cunard and Fathom. Together, these brands operate 101 ships visiting over 700 ports around the world and totaling 225,000 lower berths. Carnival employs over 120,000 people worldwide and its 10 cruise line brands attract nearly 11 million guests annually, which is about 50 percent of the global cruise market. Combining more than 200,000 daily cruise guests and 77,000 shipboard employees, more than 277,000 people are sailing aboard the Carnival Corporation fleet every single day, totaling about 80 million passenger cruise days a year.